Calvin is an experienced CEO that has worked in retail, manufacturing, commercial and professional services fields. He has run medium-sized companies that have had significant growth challenges and has gained a broad range of skills in turnaround, as well as high growth businesses in global markets. 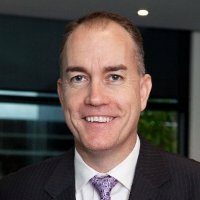 Working with Chairpersons, Directors and senior managers, Calvin has established Business Turnaround Solutions (BTS), offering an independent view of businesses operating across a range of industries; providing strategic and operational advice to help reshape organisations to take advantage of the rapid changes taking place in the Australian economic landscape. Calvin is a contributor on our Boardroom Bootcamp course for the topic Guiding a Company Through Challenging Times.